I remember watching that VH1 Show, The Best Week Ever. It ran weekly from 2004 till 2009 and had a brief comeback in 2012. In the show, they would tackle the week in pop culture at at the 29th minute declare that someone was having the best week ever. Typically the title of Best Week Ever would go to someone on the Bachelor or one of the Kardashians or Charlie Sheen as he was screaming about Tiger Blood. Ah, the good old days of TV. Here at Ambitious, we think TV should be fun again. Uplifting. Inspiring. Motivational. At the least, entertaining. 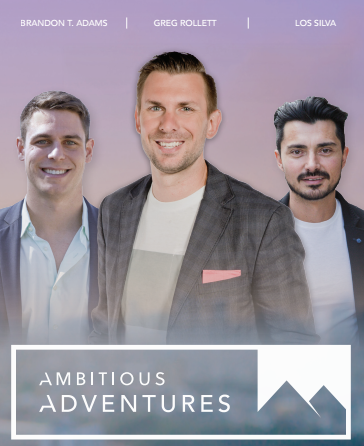 Next week we go live with a Kickstarter campaign to launch our own reality TV show, Ambitious Adventures. 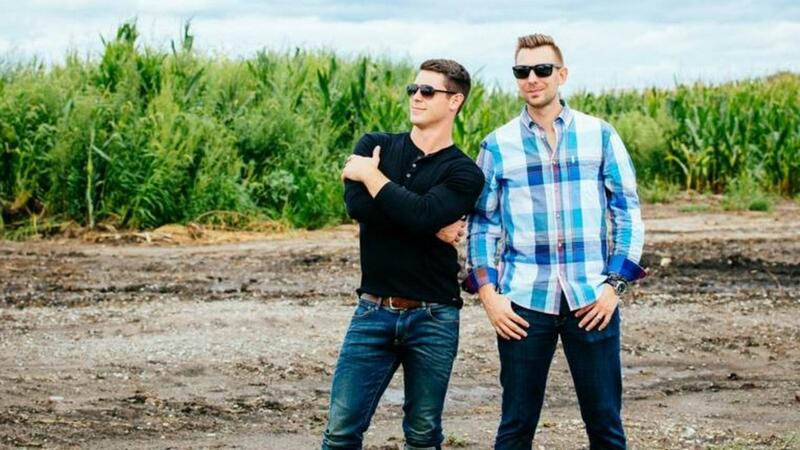 In Season 1 of the show, I am taking a few of my entrepreneurial buddies around the U.S. looking for the best and brightest young entrepreneurs who are making a big difference in their community. I look at entrepreneurship as something bigger than just starting a company. And much, much bigger than starting an online company (even though that’s what we do). It’s someone giving hope to the world through a new product, an innovative service, a new recipe or vaccine. Jeff Hoffman, co-founder of Priceline.com, recently told myself and a room full of hopeful entrepreneurs at the United Nations that entrepreneurship enables hope. When you teach someone in the Middle East to start a business that supports his family and employs people from his village, he will be filled with too much hope to commit a terrorist act. Entrepreneurship will fix things that governments never will. Uber, AirBnB, Tesla and Solar City are only the beginning. The world needs more armies of entrepreneurs than armies of soldiers. I need young people to see this show and see for themselves that they can create and dictate their own future. They can follow their dreams. And it’s ok to risk everything when you’re in your 20’s to do so. That is why I want to pack my bags, kiss the kids goodbye for a few weeks and hit the road. And it’s also why I want you to come along for the ride with me. It’s the reason we chose to put this campaign up on Kickstarter and not privately fund it. There is an army of entrepreneurs out there in the world, many in my own world, that I am calling on to support this mission and help us to make the world a better place. On Monday, July 11th the campaign launches. We have pledge levels ranging from $1 to $10,000. Check out the fancy video below to learn more. The crazy thing about July 11th is that not only are we launching our Kickstarter campaign for Ambitious Adventures, we are welcoming into our Ambitious Live studios one of the most incredible young, female entrepreneurs on the planet. Her name is Alexandra Wilkis Wilson. She was a co-founder of Gilt Groupe and GLAMSQUAD. In May 2011, Gilt Groupe raised $138 million at a valuation of $1 billion. Not bad for someone who turned her love of fashion into a huge international fashion house. She has also spent time atop the New York Times Best-Seller list with her book, By Invitation Only, which she co-authored alongside her partner in crime at Gilt, Alexis Maybank. We have invited Alexandra into the studios to talk about 2 very important things. 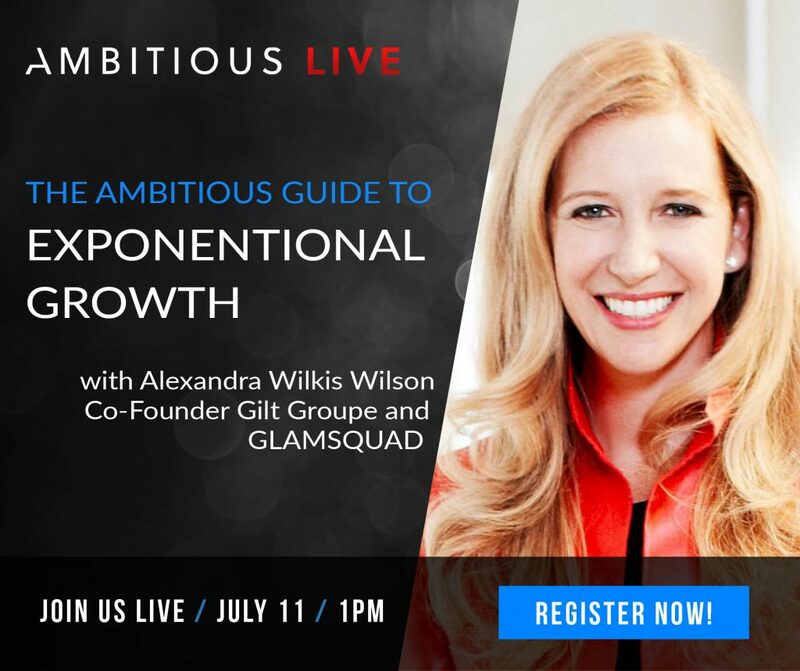 What I love about Alexandra, after having read By Invitation Only, is that she is the embodiment of why we started Ambitious.com and are embarking on this journey with the TV Show. She is brave. Courageous. Polished. But her success did not come without risk. She left a great career to go back to school and get her MBA, thinking she would find a sign and a path that was more fulfilling. She then left her job at a high end fashion retailer to start Gilt. This is a move many people wouldn’t take. We fear risk. We fear what’s on the other side. We can fail publicly. The numbers will be on Kickstarter for the whole world to see. We can also succeed. We can also change the course of the lives of the folks that tune in and watch the show. We can help inspire the next Zuckerberg or Brian Chesky. We can put young entrepreneurs and high growth cities on the map. We can help VC’s find this young talent and prove that you don’t have to be in San Fran or Boston or New York to make an impact. The talent pool is global. I’ve seen just as much innovation inside a garage in Des Moines as I have in the cafeteria of the Googolplex (yes, I’ve been in both). And now we want to continue to share these people, these places and these ideas with you. This is the biggest week in my professional life, and that includes rapping at Madison Square Garden, sitting in a suite at the Grammy’s, hitting the Best-Seller list and crossing the million dollar sales mark. July 11th will take the cake. Here’s to the future. Here’s to entrepreneurs giving hope to the next great generation and doing things that governments can’t. Here’s to hope. P.S. I am going to be doing something HUGE for those that back the campaign the day we launch. The only way to get notified of the bonuses, updates and extras is to sign up to the pre-launch list. I promise you that you will want to make a pledge on Day 1 after you see what we are cooking.